on March 2, 2019 at The Nugget Casino and Resort in Sparks-Reno, Nevada. 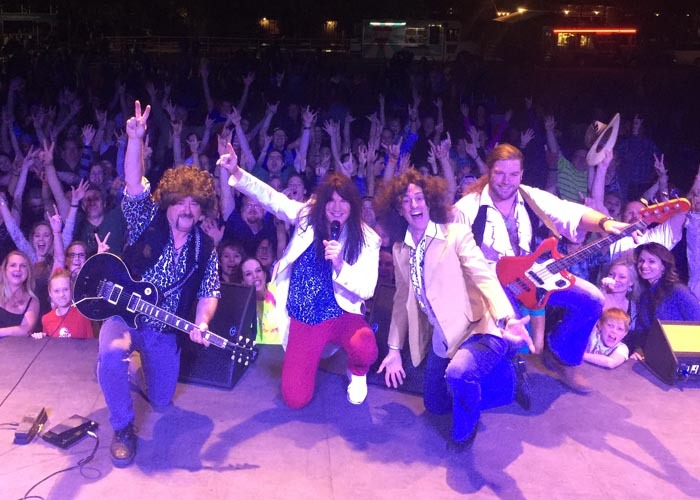 Speaking Rock's largest audience for any national tribute show. 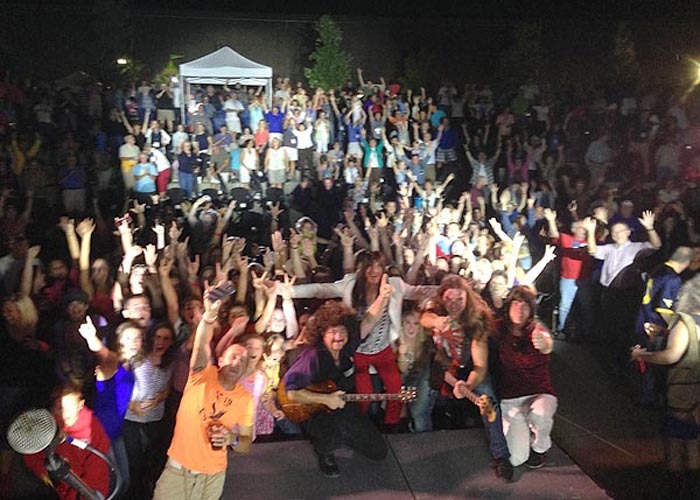 500+ paid concert goers came to Journey Unauthorized's Friday Nov. 16th performance. 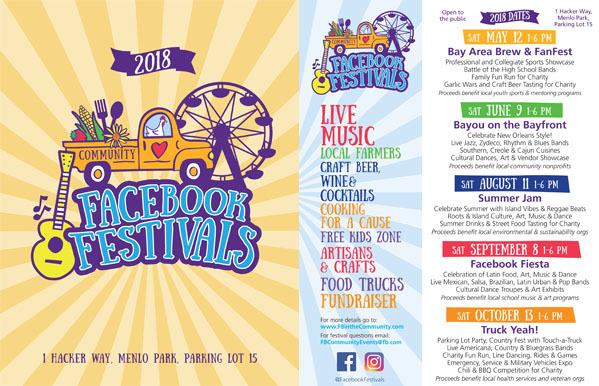 at 4pm at 1 Hacker Way, Menlo Park, CA (open to the public). in Lake Forest, IL in front of 3000+ 4th of July 2017 revelers. 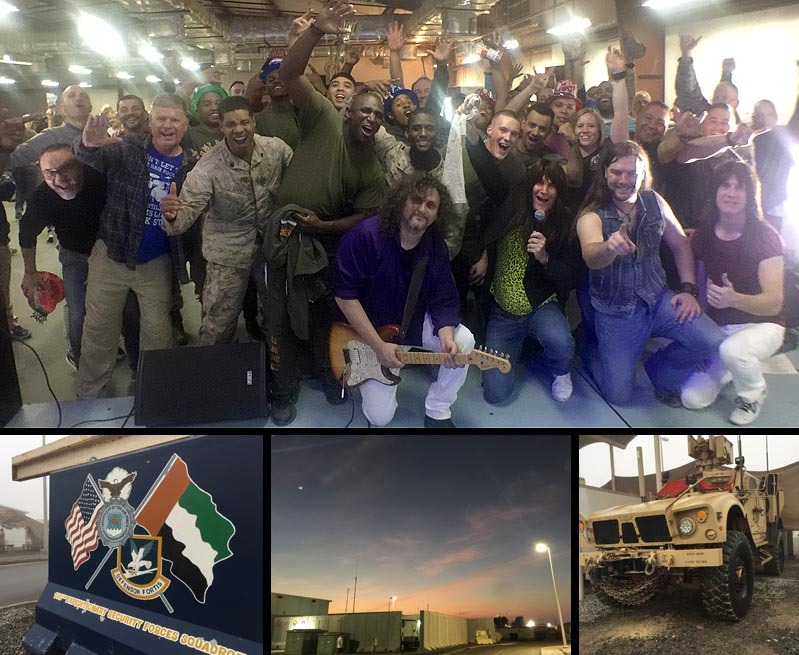 Journey Unauthorized Spent New Yaers weekend 2017 in Dubai and Kuwait, entertaining US Forces from the Air Force and Marines. We are proud of the opportunity to play for these folks, and appreciate their service. 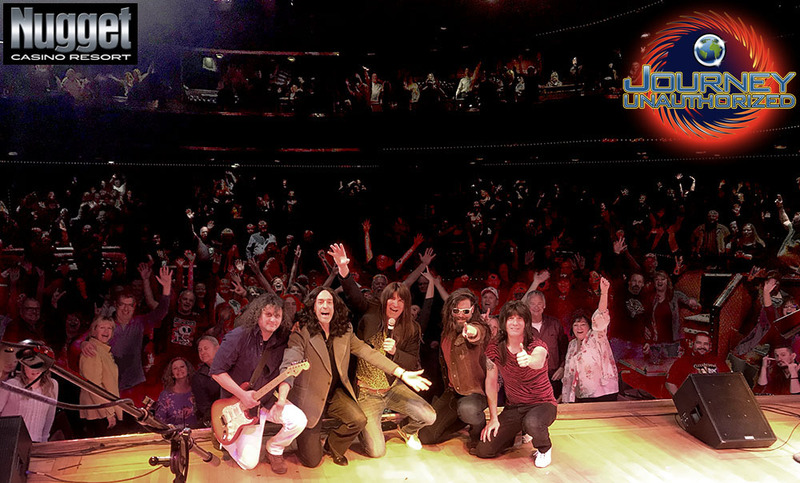 From The San Francisco Bay Area - The Only International Touring Steve Perry Era Journey Tribute Band! The Most Authentic Recreation of the 1980's Journey Ever! Seeing is Believin'. April 22, 2016 - Best Show in Concert Series! Our show in Utah April 22, America's Great Tribute Concert Series 2016 was the biggest crowd they had to date. What an incredible place - thanks to our new fans! 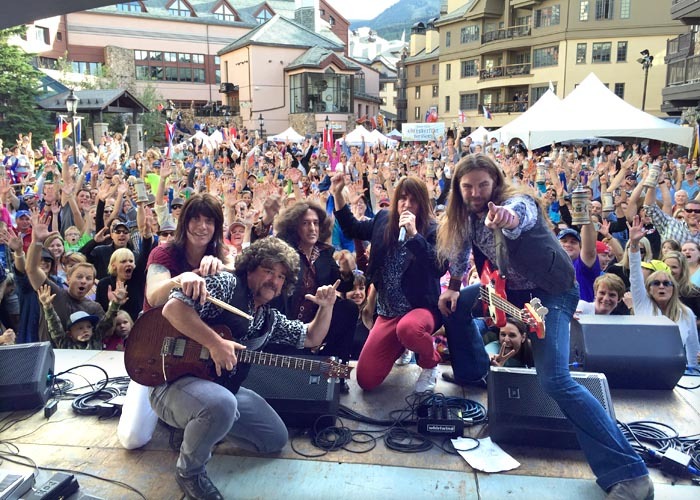 September 5, 2015 - Over 5000 in Avon, Colorado! 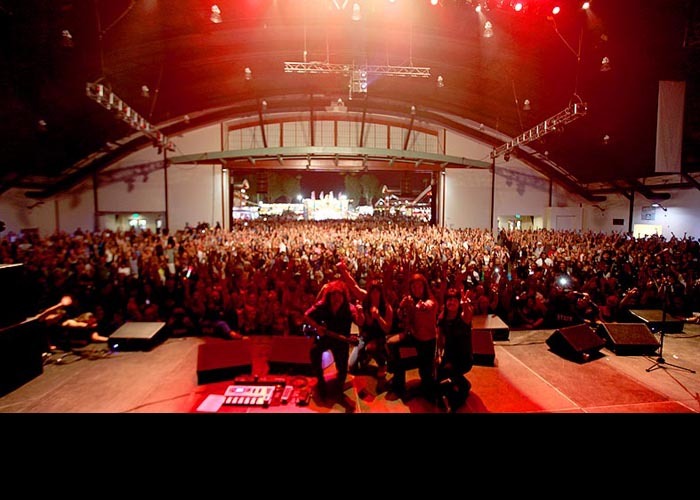 Journey Unauthorized performance at Beaver Creek's Oktober Fest Sept 5, 2015 in Colorado brought out over 5000 people, making it the best turn out in 16 years! 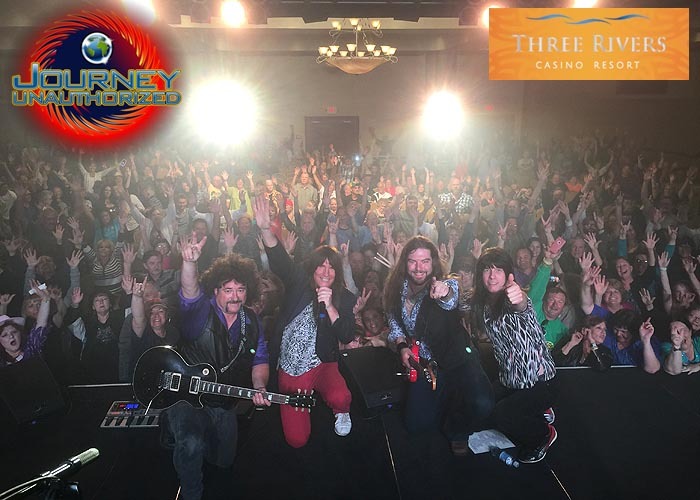 May 15-26, 2015 - SOLD OUT at Three Rivers! 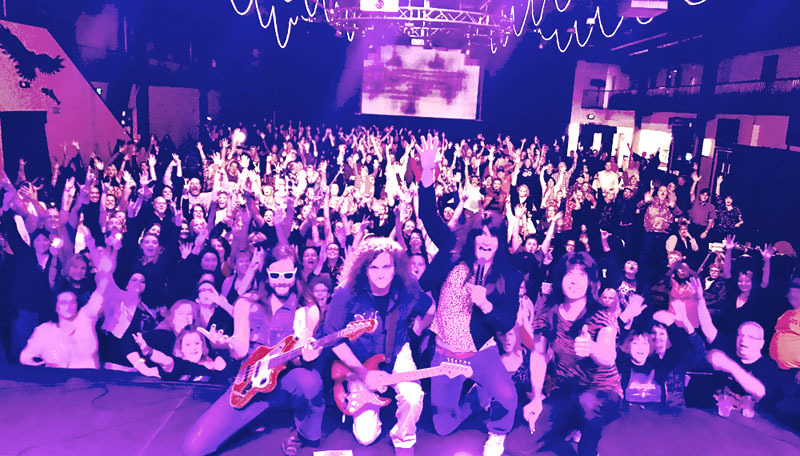 Journey Unauthorized thanks all of our fans in Florence, Oregon who waited 6 years to have us back, and helped make our two sold out return shows an amazing success! July 11, 2014 - SOLD OUT AGAIN! 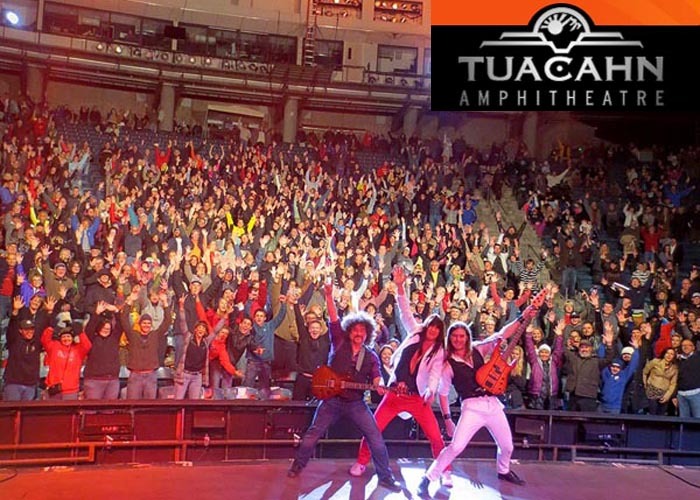 Journey Unauthorized is the only tribute show that has consecutively sold out The Hangar at the Orange County Fair in Southern California for 5 years. Thanks to our 1200+ paid fans (plus thousands more SRO) who saw our concert. You guys rock! We'd like thank the 1144 fans who came in the rain for our April 2014 show in Ivins, UT. What a great time! One of the best crowds we ever performed for in our seven year career! From Sept 12-18, 2014 we were in Yokosuka and Sasebo Naval Bases and Okinawa's Kandena Air Base (all in Japan), and Al Udeid Air Base in Doha, Qatar, and then again in Japan at the Yokota Airbase on October 25th. What an honor, truly an AMERICAN JOURNEY! 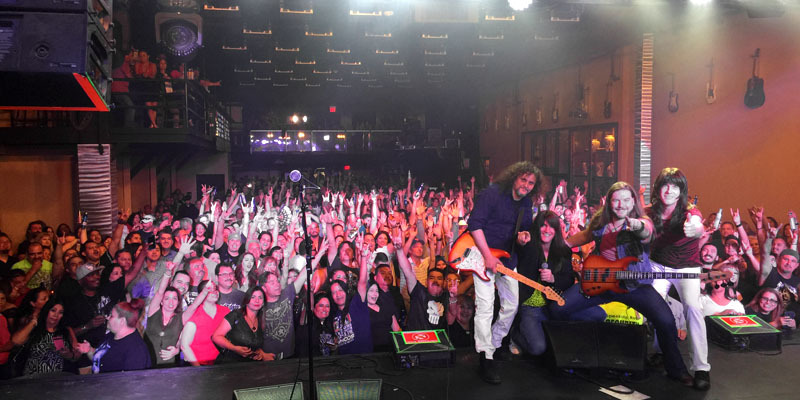 August 2, 2014 - Over 3000 Journey fans! Thanks to our record breaking (and unexpected by the promoter) 3000+ fans at the outdoor Point Park Concert Series on the Ohio River in Parkersburg, WV. Journey Unauthorized in Afghanistan and Oman in 2013! 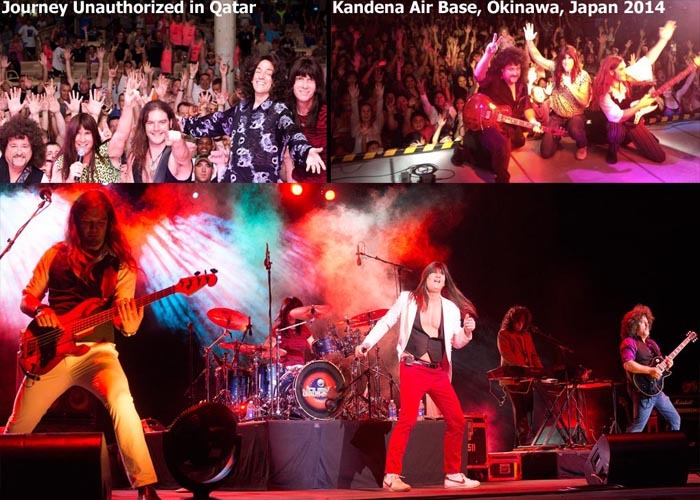 Journey Unauthorized was honored to be selected to perform for US and International Troops in Afghanistan's Bagram Airfield, Kandahar AFB and six other US Military shows in the Middle East and Japan were included in Journey Unauthorized's 2012-2013 tour schedule. 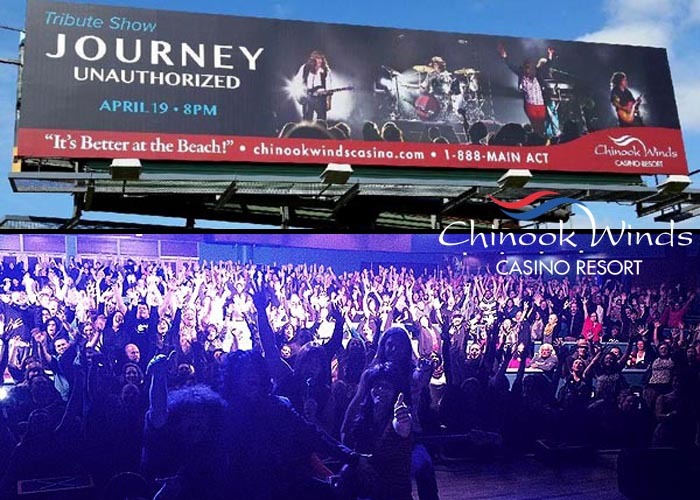 Journey Unauthorized in THE tribute band in the Reno/Lake Tahoe area, performing at Harrah's Casinos and the Outdoor Street Vibrations events year after year! 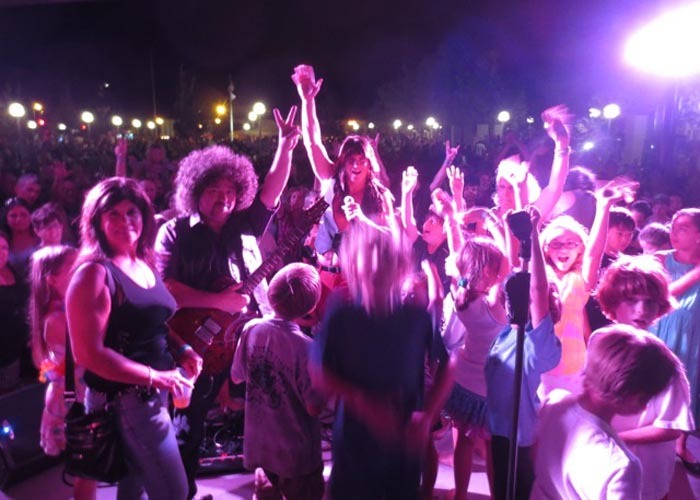 A Record 5200+ showed up to celebrate the Grand Opening of City of Roseville Town Square. Lots of kids singing "Don't Stop Believin'," with people as far as the eye can see! 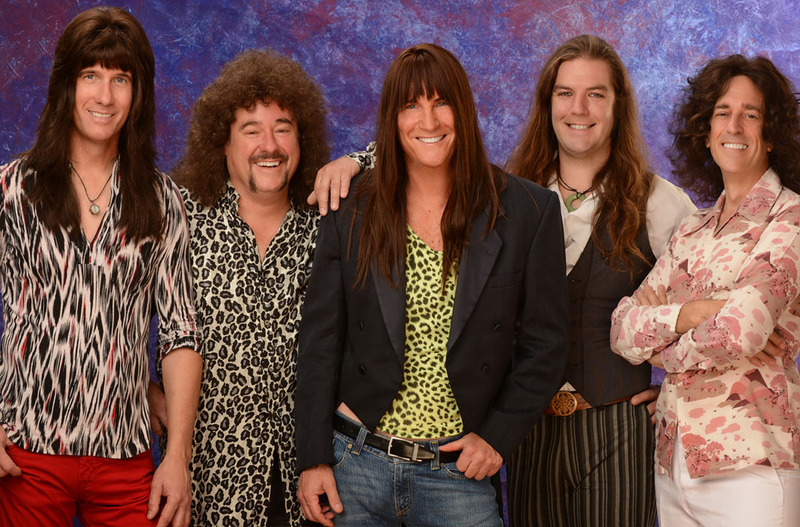 Since 2007 Journey Unauthorized have been entertaining the world. Now booking their 10th Season. 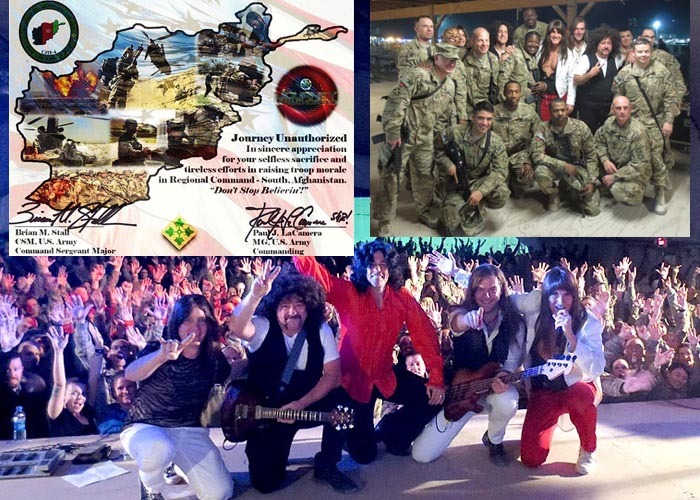 Journey Unauthorized has performed for our troops in Afghanistan, Qatar, Kuwait, Oman, United Emirates and Japan. Including casinos, fairs, fundraisers, theaters, corporate and special events all over the world. 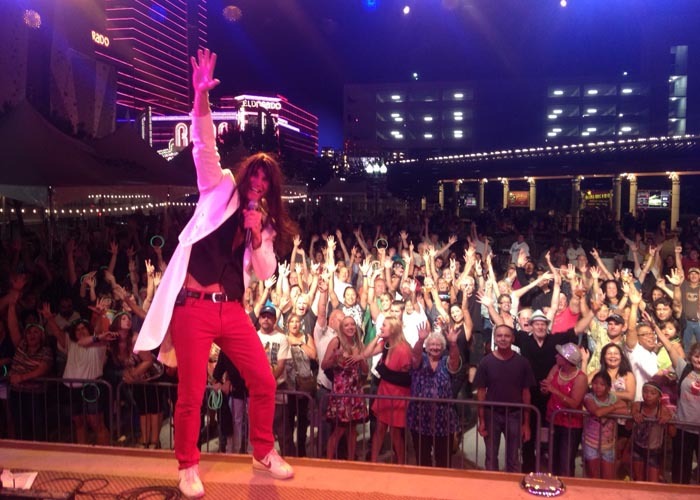 When you need the best entertainment for your event, there's only one 1980's Steve Perry-era International Touring 1980's Journey Tribute Show... Journey Unauthorized!